A Faizur Rahman, an Urdu-speaking native of Chennai, is an executive committee member of Harmony India, an organisation to promote secularism and communal harmony which is headed by N. Ram, the Editor-in-Chief of The Hindu. He is also the founding secretary of Forum for the Promotion of Moderate Thought in Islam. Sharing his experiences with this writer, Rahman says, he has lost count of the number of public forums (and private discussions) he has used in the last two decades to speak out against baseless ritualism and extravagance (israaf) in Islam. Dr M. Aslam Parvaiz, author and scholar, is the Vice Chancellor of the Maulana Azad National Urdu University, Hyderabad. Both Rahman and Parvaiz have been traveling all-round the country, interacting with Muslim community leaders with a plea to cut down spending on lavish marriages and Umrah. Umrah is a “minor pilgrimage” undertaken by Muslims whenever they enter the holy city of Makkah. In Islam, it is optional for Muslims to perform Umrah. Its similarity to the major and obligatory Islamic pilrimage “Haj” has made some fusion of the two natural, though pilgrims have the choice of performing the Umrah separately or in combination with the haj. These scholars are self-confessed practising Muslims and not against Umrah per se. They say they only wish to create awareness among Muslims that Umrah not being an obligatory ritual in Islam one need not perform it every year. Instead that money may be used for the socio-economic development of our community at a time when it desperately needs it. 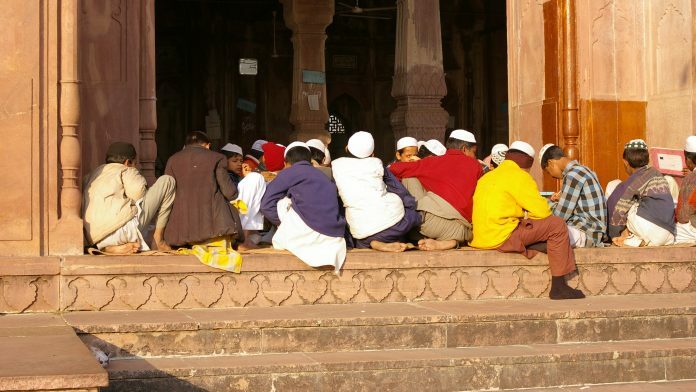 As per the National Commission for Enterprises in Unorganised Sector (NCEUS) report of 2007, 84% of the Muslim population of India lives on a daily income of less than Rs 20. Now, 12 twelve years later, this figure may have gone above Rs 20. According to the Socio Economic Caste Census 2011, there are 24.39 crore households in India, and 17.91 crore of them are in rural areas where the main earning member makes less than Rs 5,000 a month. Only 8% of the rural households have a member earning more than Rs 10,000 a month. Put differently, if a household has four members the amount available for each member (at an average of Rs 8,000 per month) is just about Rs 67! For the Muslims in India, this would mean that more than 120 million of them are forced to live on less than Rs 70 a day! Therefore, is it not the duty of wealthy Muslims to remedy this situation? they ask. Rahman says he has received a mixed response from national level organizations such as the All India Muslim Personal Law Board (AIMPLB) who have maintained a stoic silence on these issues. However, some Muslim organizations and moulvis (priests) in Chennai, have expressed outrage against Rahman’s liberal and philanthropic interpretation of Islam. “In their blinkered view, asking Muslims to stop spending money on non-obligatory pilgrimages amounts to a blasphemous denial of Islamic practices,” Rahman said. As per records, 4,48,268 Muslims applied for Haj in 2017. Rahman takes this as a sign of 4,50,000 Muslims having the capacity to spend around Rs 2,50,000 every year on pilgrimage. This works out to more than Rs 10,000 crore. “If we add to this amount the money Muslims annually spend on non-obligatory Umrah, we get the figure of almost Rs 15,000 crores! Even if a small portion of this amount is to be diverted for humanitarian causes, it will come under the definition of effective altruism which, by the way, is not out of sync with the egalitarian teachings of Islam,” insists Rahman. He argues that if any Muslim is asked for his reasons for performing Umrah, the reply will invariably be, ‘for sawaab’ (divine reward). But more ‘sawaab’ can be gathered right here in India by helping a needy person at half the price of an Umrah, pleads Rahman. As per a conservative estimate, over 250,000 Muslims travel to Makkah and Madina for Umrah every year. And the average cost of the entire trip is around Rs 1,40,000-2,00,000. Therefore, the annual amount spent by Indian Muslims on Umrah alone works out to a whopping Rs 4,100 crores! In comparison, the amount allocated in the 2017-18 budget by the Government of India to the Ministry of Minority Affairs was Rs 4,535 crore. Muslims spend a lot of money on marriages every year. In fact, a lot more than what they spend on the annual Umrah. Just look at statistics given below. Total average expenditure of one wedding comes to Rs 8 lakh. In a total Muslim population of about 180 millions, assuming that at least 150,000 (less than 0.001 per cent of 180 million) middle class weddings take place in a year in India, the total money spent by the Muslim community per year on weddings is: 150,000 weddings multiplied by Rs 6.4 lakh which equals Rs 12,000 crores. Add to this, the Rs 4,100 crore spent on Umrahs and another Rs 1,000 crore on multiple Haj. In other words, Muslims in India spend a minimum of Rs 17,100 crore per year on extravagant weddings, non-obligatory pilgrimages. Let us now see how much it costs to educate a child. At an average annual fees of Rs 10,000, the cost of educating a child from LKG to 12th standard is 14 years x 10,000 = Rs 1,40,000. For 4 years of technical education @ Rs 1,00,000 per year = Rs 4,00,000. Total cost is Rs 5,40,000. Dividing 17,000 crore by 540,000 we get 3,14,814. This means, more than three lakh poor Muslim children can be educated for 18 years on the money spent in just one year by the rich Muslims on non-obligatory pilgrimages. Rasheed Kidwai is an ORF visiting fellow, author and journalist. The views expressed here are his own. This article was originally published in Observer Research Foundation. Very well written and muslim community in India has to wake up before it is too late. My suggestion is that we must think about utilising the money that we spend on sacrifices on Eid-ul-Adha. In my opinion we don’t need to sacrifice animals to please Allah. We can use that money for the welfare of the community. Could you calculate that too? The article was focusing on the extravagance on non-obligatory acts of worship. Sacrifice on Id-ul-adha is obligatory on those who can afford it. However, there isis extravagance there also. You don’t have to buy very very costly animals. You can manage bigger animal which is equivalent to seven small animals. For instance a buffalo (in India, we can forget the cow) or a camel can be sacrificed by seven people together to fulfill the obligation and not necessarily a sheep or goat individually. What kind of sick logic is that. How does rich Muslim or for that matter any rich person not spending on his/her lavish lifestyle helps poor. Unless you are implying that they should donate all to charity, but then again if someone does donate to charity, why does it matter if s/he decided to spend on their lifestyle. Unless off course you are implying that Muslims should give up private property itself and rather should work as community. Now idea of abolition of private property in itself is not new. Ever heard of Communism. So Let’s say you want Muslim-communism within India. For the sake of argument let’s say everyone agreed. Care to give any direction how would that work in an already established nation? The truth is you never thought it through . You didn’t need to. You are so sold to the idea of “bad Muslim” that you feel the need to demonize the whole community before you earn enough validation in your mind to support them in any form. Or the fact that you think of yourself as a overbearing patron of Muslim community which gives you natural right to demonize them. Your false sense of moral superiority of being centrist is just a façade to your cowardice. P.S.- A candidate with Muslim name applying for job is 2 times less likely to receive a call-back than a Dalit candidate, and 3 times less likely than an upper caste candidate (Qualification and experience being same). It’s indeed an eye opening article. Will our muslim umma realize and come foward to give up such extravagance but spend for the welfare of poor in the cause of Allah? May Allah’s blessings be upon the scholars who continue to create such awareness amongst our brothers and sisters. This analysis is a eye opener for muslims.i think, this types of articles should published.